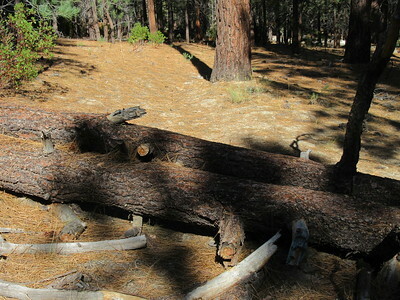 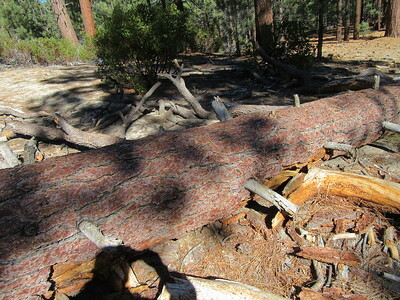 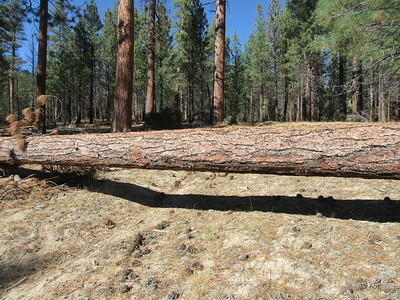 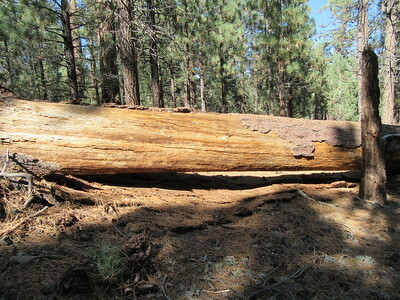 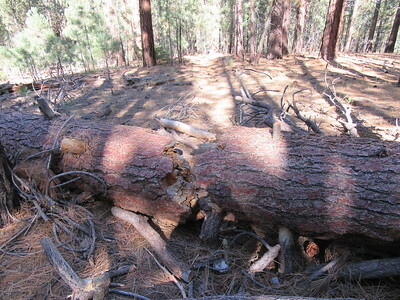 ... 4 blowdowns across the trail, this being the largest. 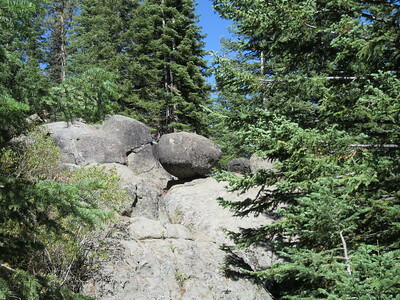 Stock and hikers are getting around/over all of them without much trouble. 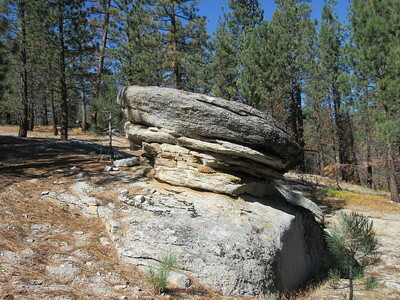 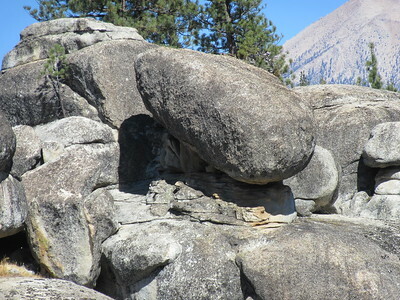 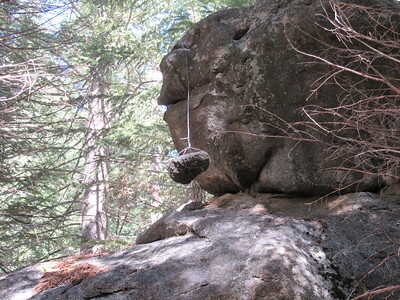 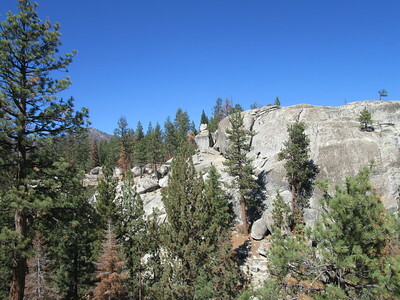 ... a more explainable rock balanced above the trail. 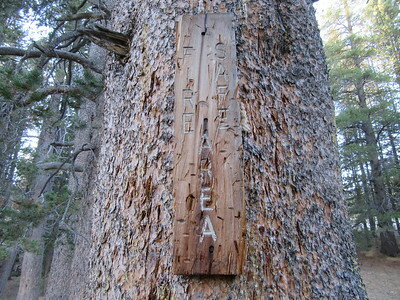 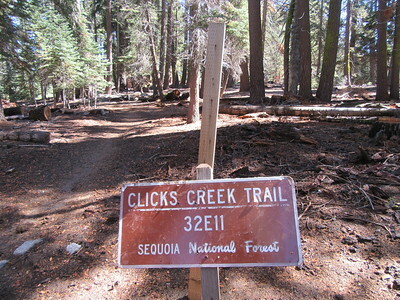 ... as with all of them, was easy to go over/around for both stock and hikers. 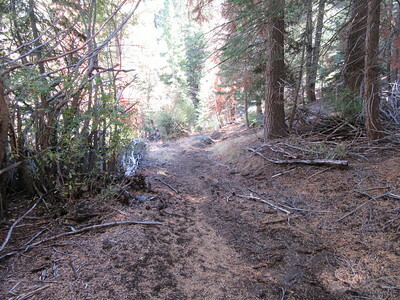 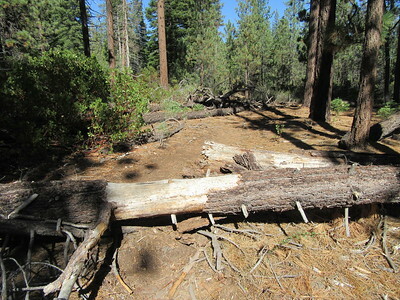 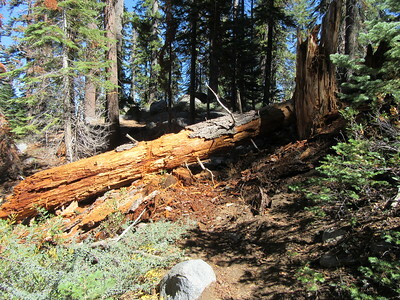 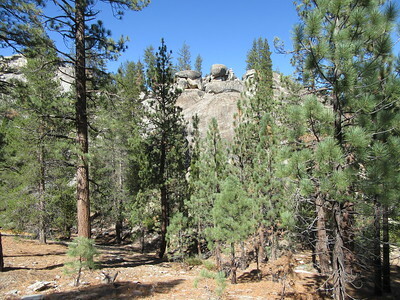 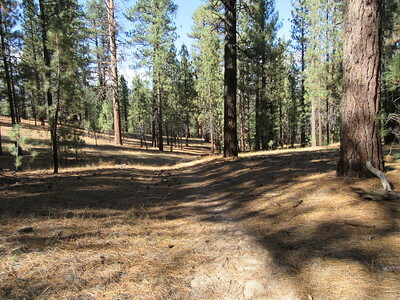 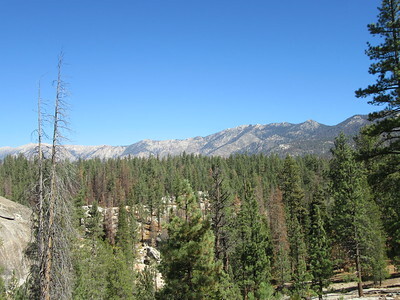 As I often do, I will submit a trail report to the Forest Service to help with trail maintenance. 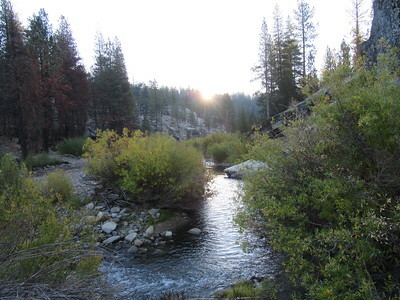 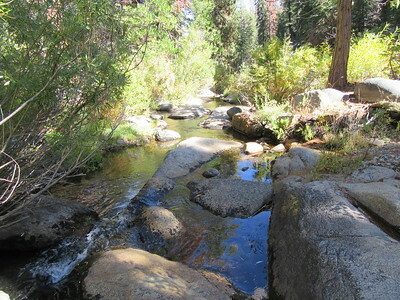 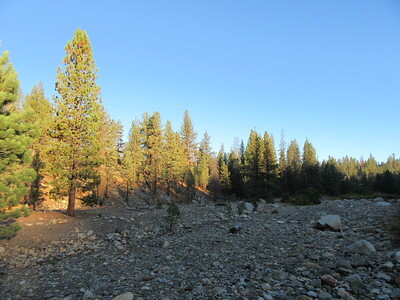 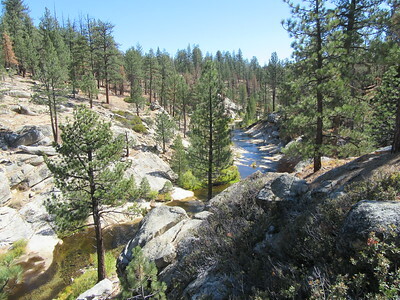 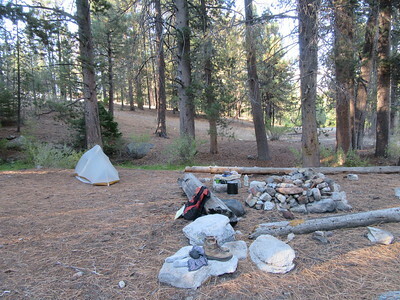 ... the Little Kern River at Sagebrush Gulch (6,085') where I camped for 3 nights. 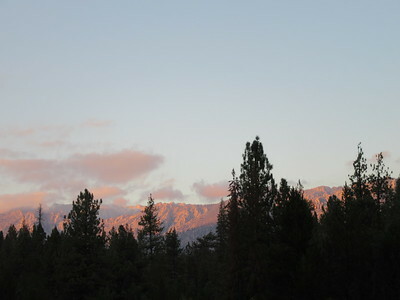 ... a view of the Great Western Divide (which sometimes glowed in the setting sun). 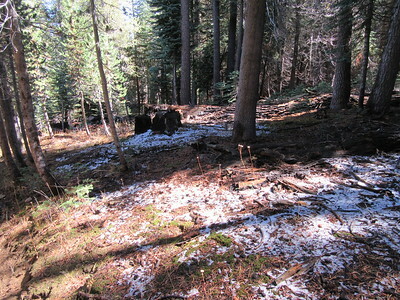 ... this look back over the flat toward my camp in the still shaded and cold area in the trees. 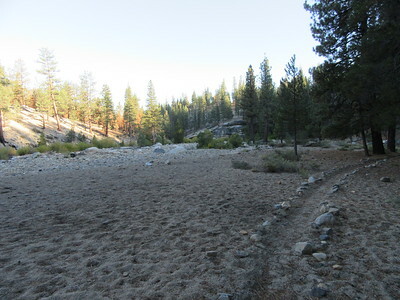 ... back down the creek. 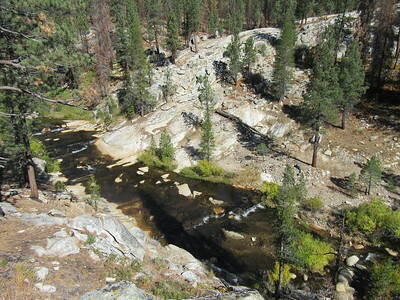 ... this zoomed in shot shows how precariously a big one manages to stay above the creek. 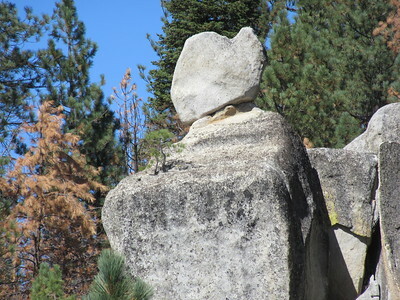 ... the top of their natural spire across the creek.